I know that it is a bit early to post this on my blog, but because I went to school in the States last year I know that my American friends are already thinking about the fall semester even though my Canadian friends are still having a blast. So, regardless of when your first day of school is, please accept this as a blessing for your studies and as a commitment to follow Christ this year. 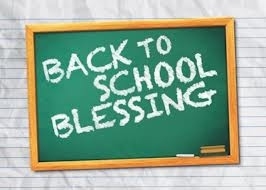 I know that God has done some pretty great stuff for us throughout the years that we have been studying and that even more awesomeness will occur this year as He pours out all of His blessings unto us. The Scripture teaches us that we will find Him when we seek for Him with all of our hearts. It is my sincere hope that you will seek Him this year and discover Him in many new and exciting ways. Father God, You are an awesome God! You have spoken to us since the foundation and the beginning of the world, calling men and women to Your service. You have equipped us each with different gifts and abilities and know how we can best serve You. Thank You, Lord Jesus. Amen. Friends, this year I have no doubt that we will experience each and every emotion just like we did last year. We’ll experience the excitement in the first few weeks, followed by the stress and all-nighters that mid-terms bring, we’ll rejoice in our times spent with friends, but we may also face hard times with things that are happening at home or with the weight of the world. God will see us through those times, friends! Believe in the Power of His Name! Finally, please keep all the Frosh in your prayers. Some of them are super stoked to be starting this new adventure in their lives, but others of them might be very shy and reserved. They might not know whether this is exactly where God wants them. They may have doubts. fears, and questions. Let us run the race that is set before us with perseverance! Looking to Jesus the Author and Perfector of our faith as well as to the mentors who have gone before us. The depths of Christ’s love, peace, hope, and mercy be with you all. Blessings as you start this leg of your journey. There is something inherently difficult for human beings in finding time for rest and renewal. There’s just something in our nature that causes us to never be completely content and that makes it hard for us to meet our own standards or anyone else’s. This is why our society has driven itself to workaholism sometimes even leading down the slippery slope of dissatisfaction and depression. This is also why so many people feel burned out and have unhealthy views about themselves. In the Judeo-Christian tradition we can read in the first book of the Bible, Genesis, that God rested on the seventh day. God did not rest because He had to – because He was tired out or depressed, God rested because He was content with the world He had just created. God saw that what He had created was good – very good, and so He took a rest and renewed Himself. Overtime, this tradition has spread to many religious groups that take personal days for rejuvenation, worship, and self-healing. 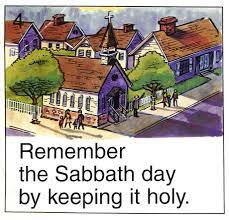 I grew up in a family that did not always keep the Sabbath. Sure we went to church every Sunday followed by a dinner at one of my Grandmother’s homes, and Sunday was also the day for visiting relatives and those who were elderly or infirm, but that is as far as it went. I still did homework on Sundays, and it did not seem to be a special day for me other than the fact that I went to church. When I started attending a Christian University, Sabbath began to take on more of a meaning for me. At Tyndale we were all encouraged to really take a Sabbath and not do any school related work and so we hung out in the court yard reading books for pleasure, and enjoyed long chapel services followed by food and fellowship often lasting long into the night. However, given the fact that the Sabbath never had much meaning for me this soon faded away and I began to continue to work harder at school – never contented with what I had already achieved. It was not until my second semester in seminary that the Sabbath truly began to hold importance for me. I was taking a class entitled “Intentional Living in an Age of Diversion” and one of the requirements for the course was to create a list of Spiritual Disciplines (called a “Rule of Life”) and to keep them faithfully over the period of the semester. We met together as a class once a week and would discuss these practices and help to encourage one another in keeping them. One of my practices was to keep the Sabbath. At first, I did not know exactly what this meant other than going to church and not doing school work, but the more I spent time Sabbath keeping the more significance it held for me. It was a time during which I was free to pursue my own passions and interests that weren’t related to school, free to read books that I wanted, and free to invest heavily into friendships. I even learned that I was able to accomplish more and be more content with my work when I had 24 hours off. I stopped wasting hours fretting about assignments and focussed instead on what is truly important and enduring long after my degrees are completed – like having friends and family close by your side. This year, I have started my first full time year round job working at L’Arche Daybreak (an intentional community for people who have intellectual disabilities) and once again I am finding it hard to learn what Sabbath keeping means in the job force. Since I don’t have school work to complete anymore it has become a bit trickier, but I believe it is still essential to my job to keep up this discipline. As I have been reflecting upon this over the past month and a half, I have learned that keeping the Sabbath in this environment means to faithfully honour your “days away”. In L’Arche we do not use the term “days off” because we are always a part of the community, but we do talk about the time we have “away”. This is the time that we are free to socialize with our friends, to go out and explore the area, and to do things that we would otherwise not have time to do (like work out at the gym). Keeping the Sabbath, for me, means to be physically absent from the stresses and frustrations that work can sometimes cause, and instead to find time for myself. Oftentimes this involves me going to Toronto or to a neighbouring community and spending time with my university friends or with church connections. Sometimes it just means taking my bike out and riding down some paths. L’Arche has taught me that Sabbath keeping does not necessarily have to be overly religious, but for personal renewal to abound it does need to be spiritual – keeping in mind that what is deeply spiritual often comes from within our own selves and our own souls with the help of God and whatever religious or spiritual tradition we are a part of (or none at all). Thus I know, whenever my time away starts that it is once again the beginning of a Sabbath and a fresh start to the new week. Satirical but there’s something in here all of us can relate to if we are truly honest with ourselves. In my first year of university there was a craze that was sweeping the Tyndale Campus, partly because the church that the majority of us attended was getting into it and partly because we were a group of largely evangelical Christians who shared testimonies any chance we got. That craze was called the “I Am Second” video series. In university if I ever missed a Sunday at church (which was rare) I would content myself by watching two or three I Am Second videos and reflecting upon them. After all, the best sermons are the ones which connect with us personally and which have stories that we can relate to. At my new job, there have also been a few Sundays that I have missed church and so it happened that after 3 years I have once again found my way back to this series. Now, 3 years later and working in an environment where I have no choice but to be second the video series is starting to have more of an impact on me than it once did. At first when I started re-watching the old footage I found myself being a little bit cynical. After all, being “second” is still a very good place. In the Olympics if you come in second you still receive the silver medal, in spelling bees you still get a ribbon, and at the County Fair you still get your picture taken and placed in the newspaper. Being first is always our ideal, but there is no shame in being second. It’s better to be second than to be seventh or seventeenth. Plus, to say that you are second in a way implies that after God you come next. What about everyone else? 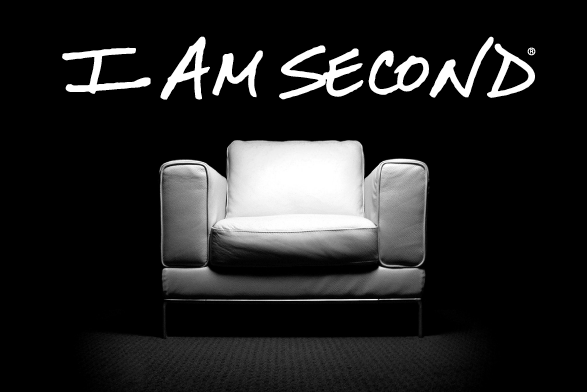 Shouldn’t the movie series be called “I Am Third” – God first, others second, me last? But I realize that this is overthinking the concept way too much. The truth is that by saying that we are second, we are surrendering our own wants and desires and placing God’s standards as higher. We are saying that we are willing to sacrifice our own goals to achieve what God wants for our life even after years of planning for them. In my own life, I never would have seen myself working at L’Arche 5 years ago or even 3 years ago when I started at Tyndale. I never would have seen myself working among people who have disabilities, but here I am today because God’s Will came first in my life. That’s not to say it’s always easy to follow God’s Will. We are taught from an early age to “climb the ladders” of success, prestige, wealth, and power and there are times when we follow God’s Will for us and struggle with what we could be doing instead. What job we could have that would provide more of a name for ourselves, a job that would pay more money, or that would look better on a resume. A job where we could advance. Being second is definitely a hard place to be. In talking with my co-workers and in reading the writings of Jean Vanier and Henri Nouwen I have learned that the single greatest cause to immaturity in our society is that many young adults simply do not know how to think about anyone other than themselves. I do not fault young adults for this because it is how they are conditioned. Sure parents can try to get them to do nice things for other people and many young adults generally care about making the world a better place in one way or another, but often times it ultimately results back to the greatest gain for them. When you are in school you learn to look after “number one”. You do your homework to benefit yourself. If you don’t feel like cooking or cleaning no one cares, it doesn’t impact anyone’s life in any major way other than your own. Even field ed and internship placements come with a reward for the people doing them (sometimes financial and other times simply through academic grades and good references). So when a young adult finally has to learn to be second, it can be shocking and challenging at first. Now when I watch these movies I don’t do it with the notion that these are “good little church guys or girls” but with the understanding that these people struggle in the same way that all of us do to put God before a family, a career, or another major life choice and that it continues to be a process. Being second doesn’t just mean being second once, but constantly being second. It’s something that we should all strive for as we continue to seek first the Kingdom of God and God’s righteousness. My name is Deborah and I am second. I would like to start this post by saying sorry I am late. These past 2 weeks have been really crazy busy and I haven’t had as much time to do my blogging research. 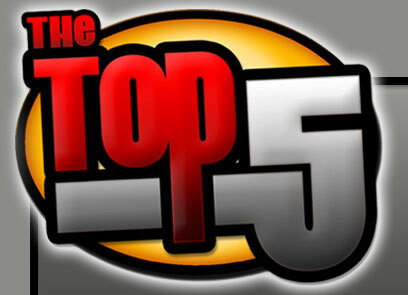 But now that I do have some time, I’d like to tell you about my top 5 Mennonerds picks for July (given the lateness a few of them are from August 1st or 2nd). Please feel free to check out our collective website at: http://mennonerds.com/. 5)Three Things to Remember About Everyone You Meet (Justin Hiebert) http://empoweringmissional.com/three-things-to-remember-about-everyone-you-meet/?utm_source=rss&utm_medium=rss&utm_campaign=three-things-to-remember-about-everyone-you-meet – In this blog, Justin gives us some good insight into how we can approach our congregations, ministries, and social service work. He talks about how we each have a story and gives suggestions on how we can help someone open up and share their story with us. 4) Re-Imagining How We Pray (April Yamasaki) http://aprilyamasaki.com/2013/07/29/re-imagining-how-we-pray/ A short post about why we close our eyes and bow our heads when we pray but how our prayers could change if we were only encouraged to look out into creation. 2) The Radical Reformer – What Do You REALLY Believe? (Steve Kimes) http://stevesbasics.blogspot.ca/2013/08/what-do-you-really-believe.html – A very good general overview of what makes a Christian and how to evaluate what we really believe in, as well as exploring the role and connection between faith and actions. 1) Resource Review: Do You See This Woman? (Hannah Heinzekehr) http://www.femonite.com/2013/07/29/resource-review-do-you-see-this-woman/ – A great resource for men and women in the church alike looking at why even though women are now eligible for ordination it’s still very much a “man’s world” and how not being married can affect a woman who is pastoring. It’s a very enlightening read on how women can start having more of a voice in the church. Who In The World Reads This Blog? 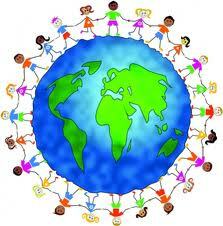 We have had 94 countries come on to this blog at one point or another. The places represented have been as diverse as Isle of Man, Qatar, Vietnam, and France. Yet, to be fair, which are the most popular countries to “hit” up this blog? 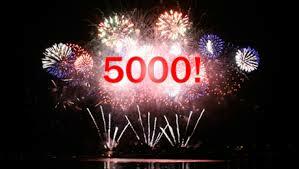 My blog has officially cleared over 5,000 views. WOOHOO!!! *Does a happy dance*. I’m so thankful to have all of you faithful readers who have journeyed with me from the beginning stages of my blogging when I was just learning what it was until now.